The tag team division of both brands in WWE is flourishing at the moment. It is no longer the division of the jobbers, as it was made to look like a couple of years ago and the wrestlers are putting a considerable amount of effort to compete with the other mid-card championships (the United States and Intercontinental title) to be the ultimate secondary belt of their respective brands. With the inclusion of women's tag team championship, the management has taken a huge step forward towards the future in promoting both women as well as tag team wrestling. Women who were not part of the main title storyline, got a championship to fight over and teams like Sasha Banks & Bayley and Nia Jax & Tamina have taken the complete advantage of the opportunity. Both brand's tag division may be growing rapidly, but how will it stack against each other? Here's a comparison about which brand is currently better than the other. Note: Performace of free agents like War Machine and Aleister Black and Ricochet is not considered as they compete in both the brands. Star power is important to attract people towards your product. It is one aspect that every wrestling promotion needs to have to pull a newer audience. 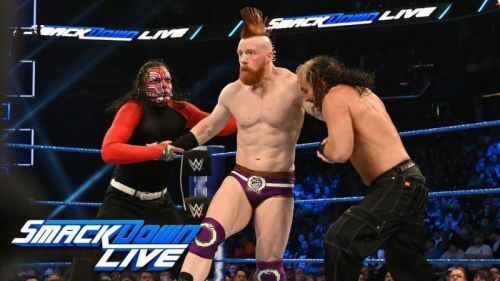 We have seen with wrestlers like The Undertaker and Brock Lesnar that the rating automatically increases as and when they show up, irrespective of whether they are just there to cut a promo or to be a part of a classic match. Smackdown has teams like The Usos, The Bar, Gallows & Anderson, Rusev & Nakamura and, The New Day, who are some of the most recognized teams all over the world. New Day, in particular, has a huge fan base especially now since people are pushing Kofi Kingston for the WWE Championship. On top of that, they have one of the most iconic duos of The Hardy Boyz who are keeping the rest of the teams on their toes since 1998. Raw's tag team division, on the other hand, lacks the inclusion of many popular teams. They do have teams like Revival, Authors of Pain, the Ascension, B-Team, Riott Squad, and Tamina & Nia Jax, but the writers have not booked any of them like a strong and dominant force. The 50-50 booking of Raw tag team championship since last year has really hurt their division. Their most popular team at the moment is the duo of Sasha Banks and Bayley, but their popularity was not enough to save them in this aspect. Final Verdict: Smackdown has more globally recognized teams.